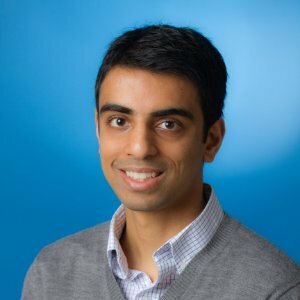 Editor's Note: This guest post was contributed by Pawan Deshpande, CEO of Curata. The case for content marketing is overwhelming. Today’s buyers are savvy and hyper-connected. When they have a problem and need new products or services, they turn to the Web to find answers and identify prospective purchases. Sirius Decisions estimates that 70% of a buyer’s journey today is completed without involving salespeople. Consequently, content marketing initiatives—the content you produce to entice buyers to engage with you—create competitive advantage. Properly executed, content marketing builds brand awareness and generates leads. But face it—content marketing takes resources. There’s a limit to how much content you can create on your own. Nor do buyers only want to learn about your particular perspectives. Everyone values having a breadth and depth of expert insights from a range of third party sources—which are readily accessible on the Web. Enter content curation as an integral part of a content marketing program. It’s unrealistic to expect that you can, or should be someone’ single source of information. Nevertheless, you do have an informed perspective about the topic at hand, which you can apply to leveraging high quality third party sources’ perspectives. Focus your attention on the topics, needs, and interests of your target market. Content curation is a resource multiplier for your content marketing program. It is a cost-effective way to stretch your marketing budget, expand what you publish, and produce quality content on a regular basis. In fact, content curation is an essential aspect of any content marketing initiative. Best-in-class marketers only create around 65% of their own content; they are syndicating ~10% and curating 35% by organizing and commenting upon external sources. There are additional business benefits. With content curation, you harness the best sources available online and organize known and relevant sources of interest to your target market. You enhance your brand credibility as an authoritative resource. By organizing and contextualizing third party assets and blending them with your own created content, you guide buyers’ journeys. You help them focus on the critical issues you consider most important. Consequently, while 70% of a buyer’s journey may be completed without involving your sales team, your customers and prospects are considering the issues you feel are most important. You have the answers to the questions they are now able to ask. If you’re interested in finding out more about content curation and want to add it to your content marketing program, The Ultimate Guide to Content Curation eBook is a comprehensive guide that’s as useful to beginners as it is to pros. For a deep dive into the ins and outs of content marketing, download The Sophisticated Marketer's Guide to Content Marketing today!